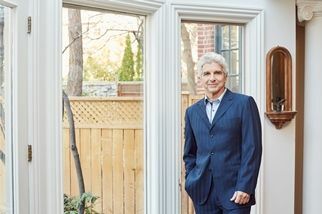 In what has become an annual tradition, the Toronto Symphony Orchestra, with conductor Peter Oundjian, returned to Montreal’s Maison symphonique Sunday afternoon and delivered a triumphant performance of Bruckner’s Eighth Symphony. This was a newly revised version of the original 1887 Nowak edition prepared by Paul Hawkshaw. He is compiling new editions of the 1887 and 1890 versions for the New Anton Bruckner Collected Works Edition being published by the Austrian National Library in Vienna. Hawkshaw discovered that the 1887 Nowak edition had been based on a single copyist score and not the original autograph scores. Only the first three movements of Sunday’s performance were based on the original autographs, however, as Bruckner obliterated too many passages of the Finale while making revisions. Hawkshaw notes in the program booklet that the original edition was much darker. The revised 1887 version’s first movement closes with a triumphal coda, the Trio is replaced by a poignant love song and the Finale is longer. The Adagios are basically the same and there is a key change in the percussion section. Be all that as it may, Oundjian aptly demonstrated in this magnificent performance that he gets Bruckner, bringing spaciousness, carefully-sculpted climaxes, depth and spirituality to this “cathedral of sound”. From start to finish Oundjian wrought from his orchestra a feast for the ears—sumptuous strings, perfectly articulated woodwinds, as well as stellar playing from principal horn Neil Deland, principal trumpet Andrew McCandless, the three harpists and not least of all, timpanist David Kent. Not for a moment (despite some uneven entries from the Wagner tubas) did the 83-minute performance lag or fail to please. Leon Fleisher, who turns 90 in July, opened the program with an at times graceful and elegant rendition of Mozart’s Piano Concerto No. 12. Fleisher’s performance (played from the score), however, was marred by too many flubbed notes in the Allegro, an Andante stretched past the breaking point and a lacklustre Rondo. In his opening remarks Oundjian noted that Mr. Fleisher made his Montreal debut under the baton of Pierre Monteux in 1942!